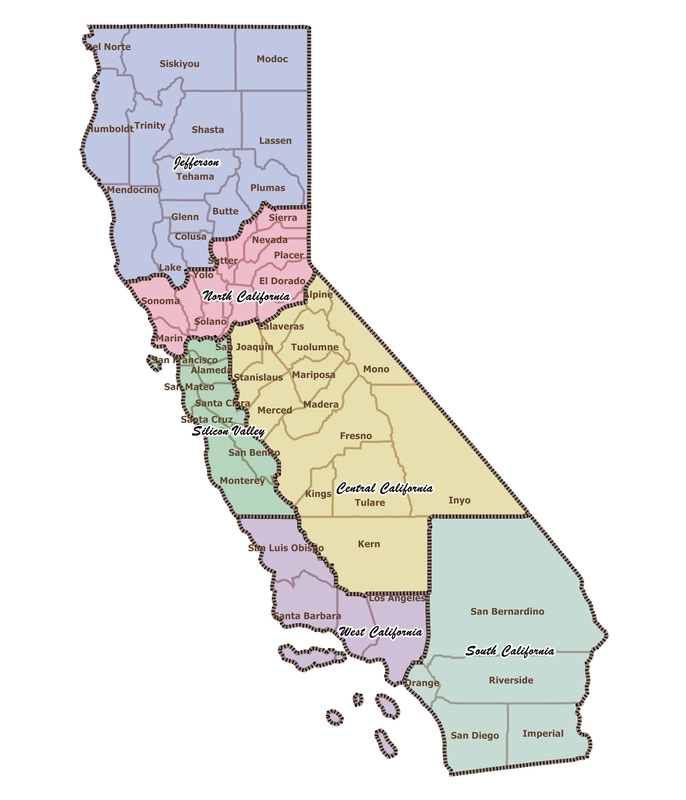 You may have heard of the plan to split California into three smaller states. It seems it will be on the ballot in November and has a lot of public support. However, that’s not what is being voted on. 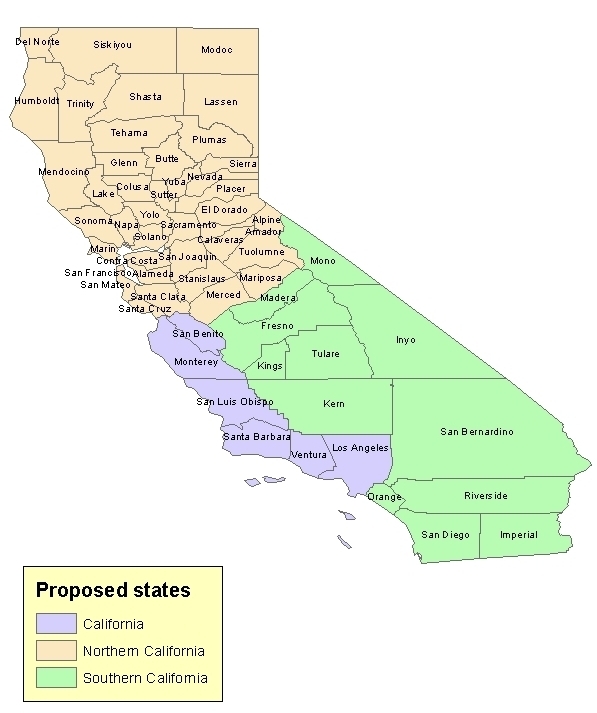 THIS is the original plan for SIX states to be made out of California. We kinda recognize these areas and yes they are different. However, the a LEAST three of these new states would have become “red” (Republican/Conservative) states. Jefferson, Central and South California comprise “red” leaning counties. 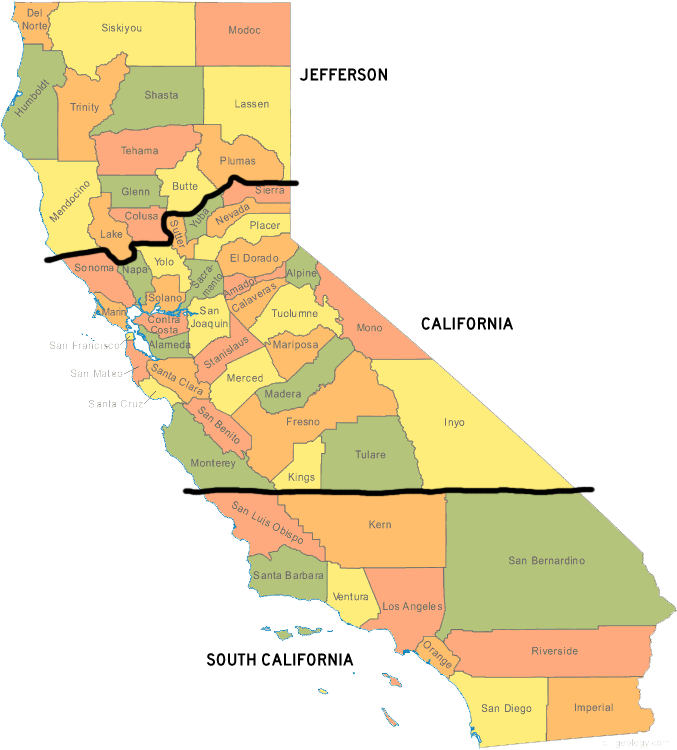 North California would be a tossup. This would make the Democrats in California less powerful. However, each STATE gets the same TWO senators so California’s 2 turns into 12 Senators in the future. Of those… only maybe two of them would be Democrats in all likelihood. So, the Democrats would LOSE power in the Senate. The elites in San Francisco, LA and Sacramento decided that’s a no-go. The next proposal was a three-state solution. People liked that one too. This was simpler and less confusing. Just bands across the state to split the new states up. It did bunch the “blue” coastal areas with the “red” inland areas though. That balanced the vote out a bit. However, that still left the northern state (Jefferson) VERY deeply red. So, the politicians played with it a little more. THIS is the actual proposal. This latest plan is just a way to keep the same people in California in power, except with MORE senate seats. 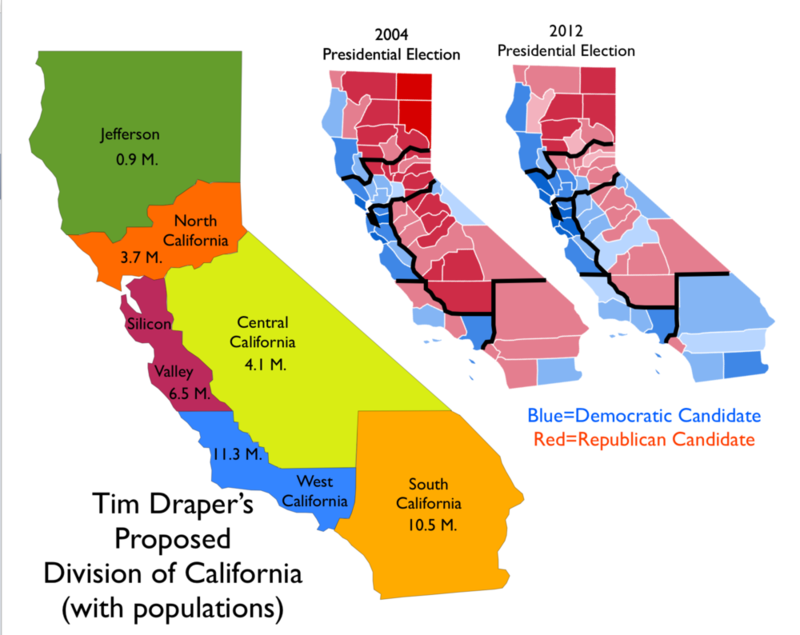 They think they can “reform” the three states into a “blue-ish” coalition that will run like the current California and have FOUR more Senators and at least 3 more House seats. It’s a bold move to stave off a popular secessionist movement. Thinking they can turn a possible increase in “red” votes into a win of “blue” votes through creative mapmaking is a long shot too. Who wants to bet that with Sacramento and San Francisco both in “Jefferson” that the SAME people in power won’t keep the SAME high taxes, high regulation and stupid rules in place that lead to an exodus of taxpayers in the first place? It’d be an interesting experiment that could trigger secessionist movements in other parts of the country. Deeply “Red” Upstate NY has been trying to split off “Blue” New York City for years. The rest of Illinois has been trying to ditch Chicago for a long time. North and South Florida have been feuding for generations. It’ll be something to see in November.